The complexity of today’s business context demands that organizations regularly revisit their strategy and adapt their work, all while accelerating the speed of execution. Organizations must consistently balance the need to achieve strategic goals and respond to changes in their industries and markets in order to drive business success. Winning at this game not only requires flexibility and agility, it demands specific capabilities and an intentional approach, starting with selecting and executing critical projects. Leaders are the means by which strategies are executed and goals are achieved. As organizations become more important in solving not only business but societal issues, the environment in which they are executed grows more volatile, uncertain, complex and ambiguous (VUCA), thereby increasing the need to become more adaptive. At every level, leaders are forced to be more responsive to unanticipated market shifts, more resilient to unpredicted disruptions, and more adaptive in situations where what “has always worked” no longer does. Having leaders with the right approach, methods, tools and capability to drive work is an organization’s most valuable asset. Understand why and how the internal and external contexts in which we work have become more complex and discuss models, tools and practices that help participants recognize and manage the forces that create this complexity. Examine multiple viewpoints on strategy and how today’s complex environment necessitates a more adaptable, responsive and fluid concept of it so that there is a tighter coupling and feedback cycle between strategy and execution. Explore the attitudes, behaviors and skills that leaders require to help organizations develop the capabilities to navigate the uncertainty caused by complex environments. Participants learn the science behind how individuals respond to change and receive tools to reduce resistance and increase engagement in a change process. 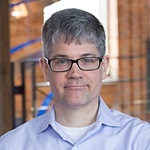 Ed Barrows is a managing director at Duke Corporate Education where he is responsible for designing and delivering programs for a portfolio of global clients. He has over 20 years of hands-on experience helping organizations of all sizes and industries craft and execute business strategy. Before joining Duke CE, Ed worked in a variety of professional services positions with Deloitte, General Electric, PricewaterhouseCoopers and the Palladium Group where he was vice president and leader of the executive education organization. While at Palladium, five of his clients were inducted in the Balanced Scorecard Hall of Fame for results in executing strategy. Ed has served on the faculties of Boston and Babson Colleges where he taught topics ranging from strategy and problem solving to international consulting. His research interest is in the area of performance management and, specifically, how firms navigate disruptive environments. His 2012 book with Andy Neely of Cambridge University, “Managing Performance in Turbulent Times: Analytics and Insight” (Wiley), highlights a portion of his ongoing investigation. Ed holds a B.S. in business administration from Boston University, an MBA from Georgetown University, and a DBA from Cranfield School of Management in England. He also has a certificate in marketing strategy from Cornell University.